Which are the most common definitions? How common are the various meanings of "Pagan"? The first 14 hits all referred to Wicca or another Neopagan religion. 24 of the first 27 hits referred to a Neopagan faith tradition. In 2010, the same search word found almost 24 million hits, with similar results on the first few dozen hits. Another anti-Roman Catholic essay discusses Jesus' mother Mary. It notes that the titles "Mother of God" and "Queen of Heaven" came from Pagan cultures that surrounded the early Christian movements. It says that the concept of the perpetual virginity of Mary is also Pagan, being derived from the worship of "Ashtoroth, also known as Isis, Diana, Venus, Vesta, Samariums, Istarte and Helen...". One probably refers to Neopagans: The author writes that "all belief systems except atheism, paganism and satanism have had their roots from certain scriptures..." 7 Presumably, the author is not referring to ancient polytheistic religions because various cultures from Babylon to Rome had religious writings. He might possibly be referring to Aboriginal religions, which typically use an oral tradition. "The concept behind this Jericho March is to 'tear down' the walls of the new 'Washington Paganism' -- the secularization, New Ageism and postmodern amoralism -- epitomized in the Clinton-Gore Administration, in the morally weak leadership in the Congress, and in the liberal members of the Supreme Court." "Vatican officials have labeled Europe a "Pagan country." The comment was prompted by a statistic from Austria that 43,632 Austrians formally renounced their Roman Catholic affiliation in 1999, whereas only 3,387 converts joined the Church. Most Internet references to Paganism refer to Wiccans and other Neopagans. Conservative Christians often use the term Pagan to refer to ancient Polytheistic religions. Other meanings of "Paganism" appear to be rarely used in contemporary literature. A known and homogenous audience is being addressed. Otherwise mass confusion will occur. Even if it is carefully defined, listeners or readers' interpretation of the text will probably be distorted. They will carry over some of the baggage associated with their own definition of "Pagan." In place of "Pagan," we suggest that you use the actual name of the religious group that you are referring to: (e.g. Animism, Asatru, Buddhism, Druidism, Hinduism, Native American Spirituality, Wicca, etc.) to avoid ambiguity. The term "Neopagan" has a unique definition and can be used without confusion among those who know its meaning. However, not everyone is aware of what it means. 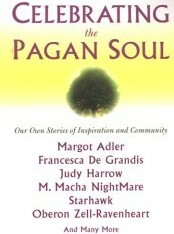 Laura Wildman, Ed., "Celebrating the Pagan soul," Citadel. (2005). Read reviews or order this book safely from Amazon.com online book store. Amazon.com customers gave the book a rating of 4,8 stars out of 5! The following books are the result of a book search at the Amazon.com web site -- the world's biggest online bookstore.